AJ-PX270 - Nelco Media, Inc. Featuring superb image quality, functionality and operability matching shoulder-type camera and network capability, this handheld camera recorder revolutionize ENG workflow. The AJ-PX270 is a compact, lightweight professional ENG camera recorder for broadcast applications. It inherits Panasonic’s accumulated broadcast technologies and know-how to offer high performance, easy operation and excellent versatility rivaling many shoulder-type models.The AJ-PX270 features the AVC-ULTRA* codec family and support the microP2 card. Its AVC-Intra/AVC-LongG/AVC-Proxy multi-codec recording capability responds to diverse broadcasting needs, ranging from program production to swift news gathering using networking functions**. The AJ-PX270 is equipped with a powerful 22x zoom lens with three manual rings and the high-resolution OLED viewfinder. 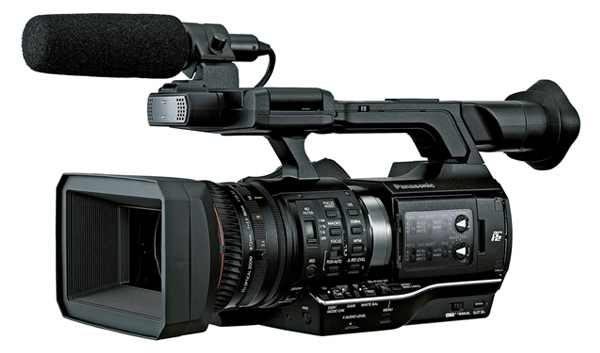 Control switches, such as the front REC button, and a variety of terminals are positioned to match shoulder-type camera recorder specifications. Armed with networking functions, this camera recorder enables both file-based recording and more advanced network-based recording, to revolutionize your workflow. It will also connect directly to a server via a wired LAN, wireless LAN** or 4G/LTE** network, for easy configuration of a streamlined news-gathering system. * The AJ-PX270 does not support all of the formats included in the AVC-ULTRA family. ** For details, refer to "Notes Regarding Network Functions".